WD: Thank you for your questionnaire for Councillor candidates. I must confess until I started my election campaign, I was not aware of your organization. I am very pleased to know that you are working to make Cobourg a better place to live, work and play. Like most I am very concerned about Global warming and green house gas emission levels, clean water, waste reduction and climate change just to name a few. 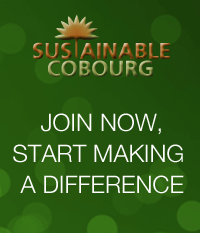 I certainly agree that amendments to the Cobourg Official Plan should include the development of an integrated Community Sustainability Plan for the town. As a Councillor I would be most supportive of such a plan and contribute where possible. I have since visited your website and have reviewed the information you have provided. I must say the information and the initiatives mentioned are very impressive and will only benefit all of us now and for future generations. I would most definitely be prepared to sign a pledge to support active transportation within Cobourg.